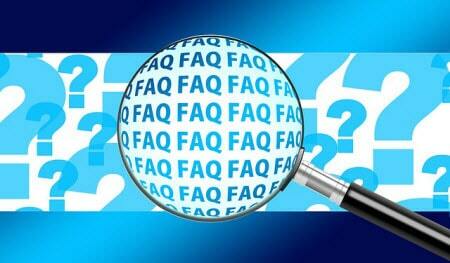 Below are frequently asked questions (FAQs) about our Affiliate Program. Whilst our application form requires a website to be nominated, a website is NOT required at all. We have several successful Affiliates who market through traditional channels rather than online. Are there any limitations on who you accept as an Affiliate? Our program is available to all companies and individuals. Limitations are detailed in our Terms of Service. Can I promote a single product only? Many of our Affiliates promote one or two products only, whilst others promote several offers. The choice as to what you promote is yours! Our recommendation is to stick to those products which suit your reader / visitor base. Some of our products have broad appeal and so they may warrant testing! We require that all email campaigns are Can Spam compliant – i.e. full address and contact details are provided plus an unsubscribe link. Please review our Terms and Conditions for more details. If you Spam, your account will be automatically suspended and all commissions due will be withheld. We close each month off on the 4th of the following month and forward payments the 15th of the month. Payments are made by Paypal. How long does your tracking code remain active? How do I go about running an email campaign? Copy for many of our offers is available within the program or upon request.For any Investment-related offers, we require that a suitable Disclaimer is placed at the bottom of each email campaign. We can provide a standard Disclaimer if required. We offer from 30–180 day money back guarantees on most of our products. If one of your clients requests a return of monies, we will respond accordingly. The commissions payable to you will be adjusted. We run sales statuses in our reporting and so any refunds are marked accordingly. How do I know when sales have been made? A notification is automatically sent to you through email whenever a sale is recorded. You can check your account status at any time by logging into your Affiliate management console and checking your current commissions online. Which is the best marketing collateral to use? We provide multiple link and banner options as these must fit in and have impact with your web site. It’s up to you as to which you feel works best for you. Our tracking software provides you with detailed statistics on each banner / text link / text ad you use and so you will quickly get a feel for what works best for you. Can I produce my own customized banners and copy? Yes you can but as a matter of courtesy and to avoid any problems, it is always best to convey a copy to us for approval. How does your 2nd Tier program work? We pay a 10% commission on the commissions earned by your 2nd Tier. Therefore, if the commission due to your 2nd Tier is 50%, you earn 5% of the total sales price. 2nd Tier commissions are calculated at month end and so will not appear in your earnings until that time. Do you have a Helpdesk I can contact when needed? You can submit any requirements you have through the form on our Contact Us page. We aim to respond to all requests received within 24 hours. What fraud controls do you have in place? Our Payment processor is Paypal and so their fraud protection procedures apply. Additional manual checks are also applied. Will you run a special program for me? Yes. It depends on your marketing plan and volumes involved. What are your product selection criteria? These are outlined separately. Click here to view.